« …wanna see some crazy stuff? Okay, the Reader’s Digest version of this story is…. We moved to this little house at the end of my dad’s time in the Air Force. Again, the house was little but they felt it had potential and raised the back roof line making the house a 1¾ story. It made room for a much larger bedroom and bath (for my 3 big brothers to share), and an office for mom. Our mother was a teacher. Primarily here in the US, but even while our family was stationed in France. 42yrs. Mostly in the parochial school system. And that‘s why I’ve been doing all this work on her home–so she’ll have a worry-free comfortable home in retirement. ——where she could spread out ALL that teaching stuff. Once retired though, I thought it would be wAy nicer to become a cozy library for her many books. However, when (her brother) my Uncle Fred died and left his enormous Oz collection to her and there were so many incredibly valuable books–her library became more like a dedication to that. Hence the eventual wall color. *I would love to show you pictures of her in-use-teaching-office, but the computer and scanner aren’t on speaking terms right now~w e l l.
It’s a pretty nice room at 15’9″ x 10ft, and dad built-in the desk and closet to keep her organized. One thing I learned about my dad’s construction–he built things to LAST. I had the hardest time demo’ing it all down. Seriously. In addition to his built-ins, she had several store-bought DIY bookshelves and I thought they could be salvageable. –After I got the room gutted I re-staged those existing bookshelves where the built-ins used to live. See? Salvageable! Yes, they are now the foundation to her NEW BUILT-INS! I used spacers between the units to fit new front face frames, 2×6’s underneath to boost the height for 5½” base molding and to fit it to the ceiling with a 4″ crown, and I pulled the tower unit forward. Paint and glaze brings it all together. Everything remaining was gutted–like flooring and casings, and the electricians installed spot lights for me and moved outlets around. I built a real closet, hung a 2nd layer of drywall around the perimeter ceiling to effect a “tray ceiling,” and installed a pair of new windows (custom on my specs) to look like french doors. Then I re-cased the whole room with moldings salvaged from a razed farmhouse. The above view is entering the room from the stairs-hallway. Below shows entering from the adjoining bathroom. Yes, that’s my compressor in the bottom corner of the photo, I’m still working in the hall on its built-in bookcases. And I need to get crackin’ on some proper window treatments for this room! Btw~the shelves are in disarray because we’ve been reviewing all the Oz books and selling some to other collectors. With the actual closet in the room now, this is legally a 4th bedroom for resale. Although I still think it’s greatest as a private office-library for the master bedroom, wouldn’t it make a convenient nursery too-? Fantastic transformation, Catherine. I love the built-ins. You continue to amaze me with your carpentry skills, apparently a chip off your dad’s block. The built-ins and windows look wonderful. I love that channel-back chair! 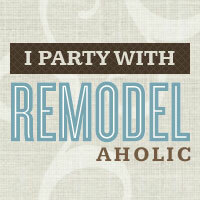 I would love to have someone in the family that can do remodeling, other than painting. I am so impressed with your skills. Thank you for sharing! oh my! the built-ins look amazing! so happy you were able to use the original ones. Catherine…Glad to hear of your fabulous repurposes. I missed you!